This classic farmhouse with an updated floor plan is great for the growing family. A covered wrap-around porch provides shelter in the winter and cool shade in the summer. The open first level features an island kitchen for casual entertaining. A spacious deck with spa and seating area expands living space. 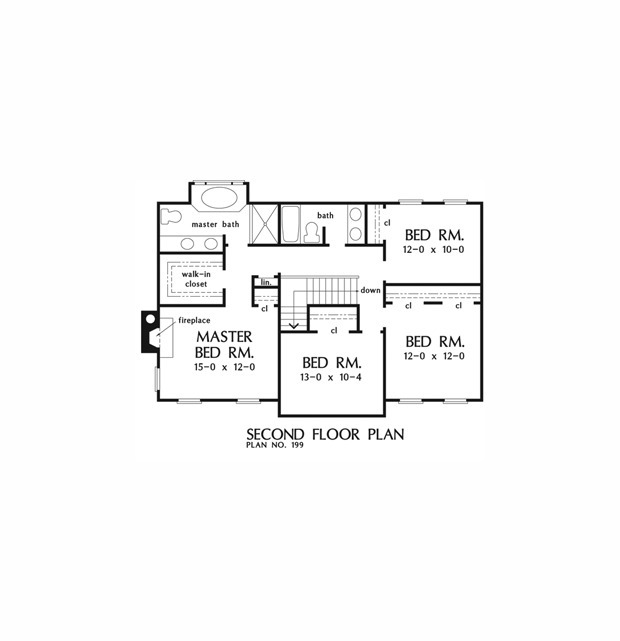 The second level master suite pampers parents with a fireplace and a luxurious master bath, equipped with a walk-in closet, whirlpool tub, separate shower, and double lavs. 1st Floor: 1254 Sq. Ft.
2nd Floor: 1060 Sq. Ft.
House Dimensions: 53' 4" x 40' 0"
Great Room: 15' 6" x 13' 0"
Foyer : 9' 6" x 11' 8" x 8' 0"
Dining Room : 15' 0" x 24' 8" x 8' 0"
Great Room : 15' 6" x 13' 0" x 8' 0"
Kitchen : 15' 6" x 11' 4" x 8' 0"
Breakfast Room : 11' 0" x 10' 0" x 8' 0"
Utility Room : 5' 8" x 5' 4" x 8' 0"
Master Bedroom : 15' 0" x 12' 0" x 8' 0"
Bedroom #2 : 13' 0" x 10' 4" x 8' 0"
Bedroom #3 : 12' 0" x 12' 0" x 8' 0"
Bedroom #4 : 12' 0" x 10' 0" x 8' 0"
Porch - Front : 53' 4" x 6' 0" x 0' 0"
Porch - Rear : 18' 4" x 6' 0" x 0' 0"
Porch - Left : 6' 0" x 25' 4" x 0' 0"
Porch - Right : 6' 0" x 14' 0" x 0' 0"
Deck / Patio : 40' 10" x 12' 10" x 0' 0"
Storage (Other) : 3' 2" x 1' 8" x 8' 0"
Storage (1st Fl.) (Sloped): 9' 6" x 3' 4" x 0' 0"